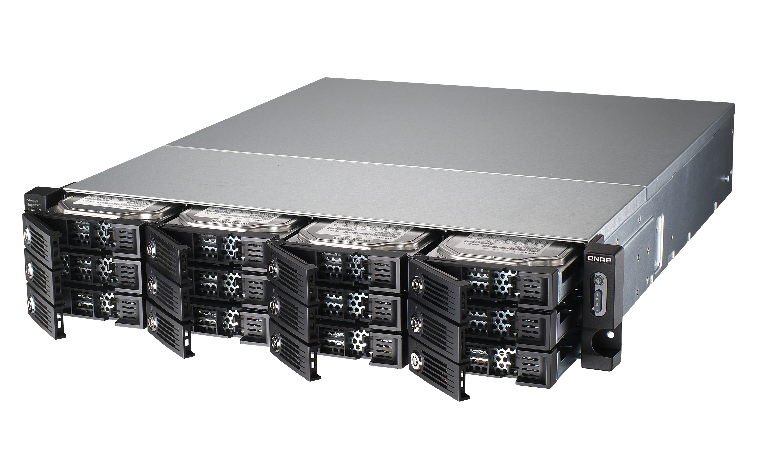 When expanding data storage capacity, deploying multiple servers can lead to complexity in management and also dramatically increase costs. 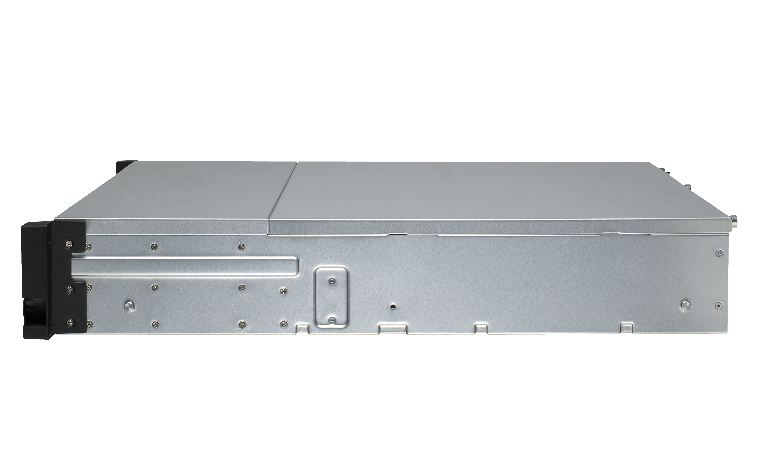 The QNAP UX-1200U-RP expansion enclosure is an economical expansion alternative designed with easy setup in mind for expanding the total storage space of your Turbo NAS. 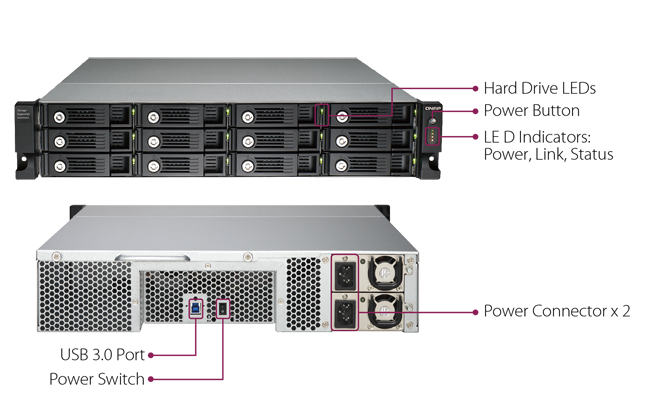 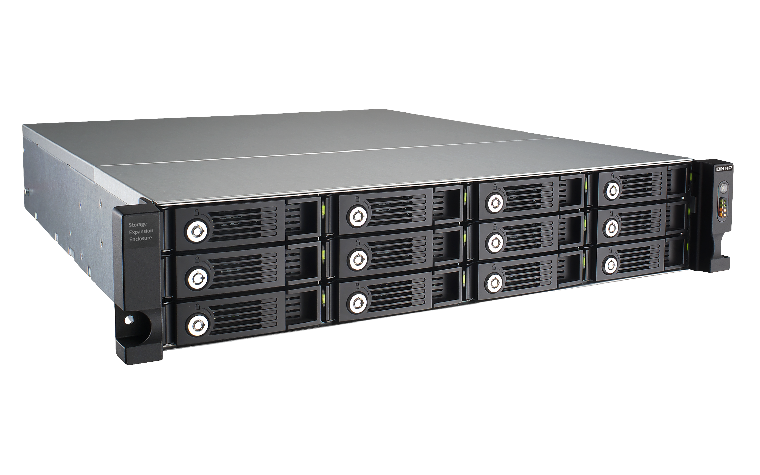 The UX-1200U-RP offers a hassle-free storage expansion for business use. 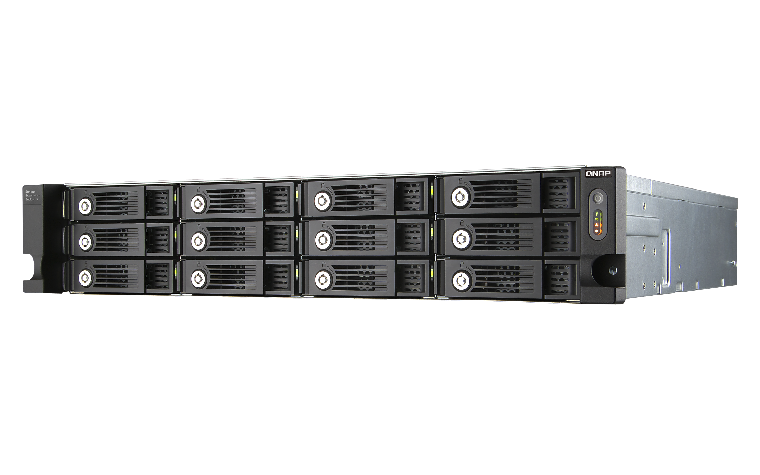 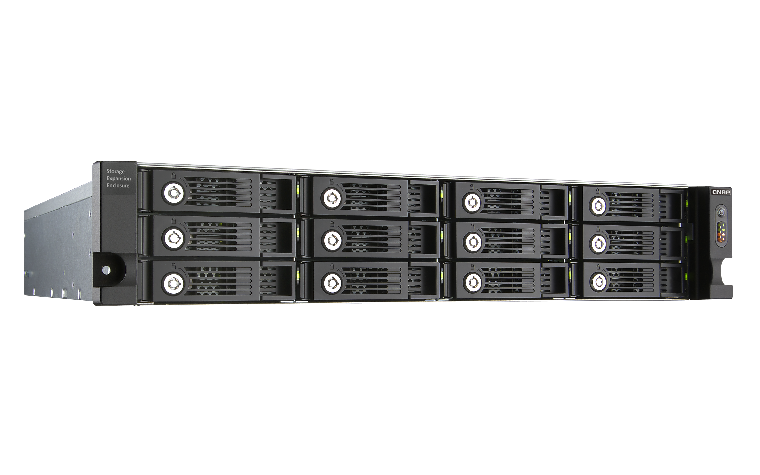 Each UX-1200U-RP provides additional 12 hard drives for the Turbo NAS and allows for a total raw capacity of 72TB* making it especially useful for massive data backup, digital media collection, and video surveillance. 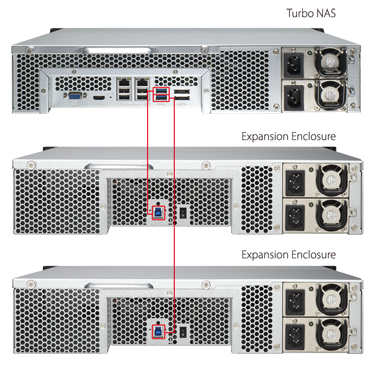 If your UX-1200U-RP is accidentally disconnected, the Turbo NAS enters missing mode and blocks I/O access to protect the stored data. 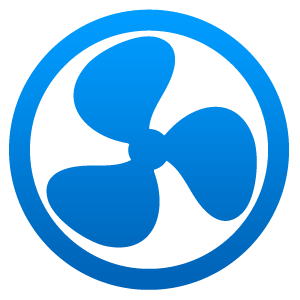 The system can then recover from the missing mode to the normal state with data remaining intact. 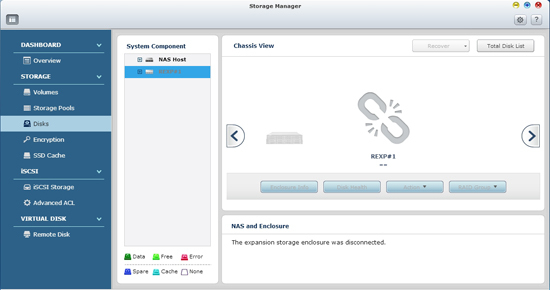 The QTS Storage Manager neatly presents tools & options for managing system storage with a modern & intuitive graphical user interface, greatly simplifying the process of managing the UX-1200U-RP and NAS capacity expansion. 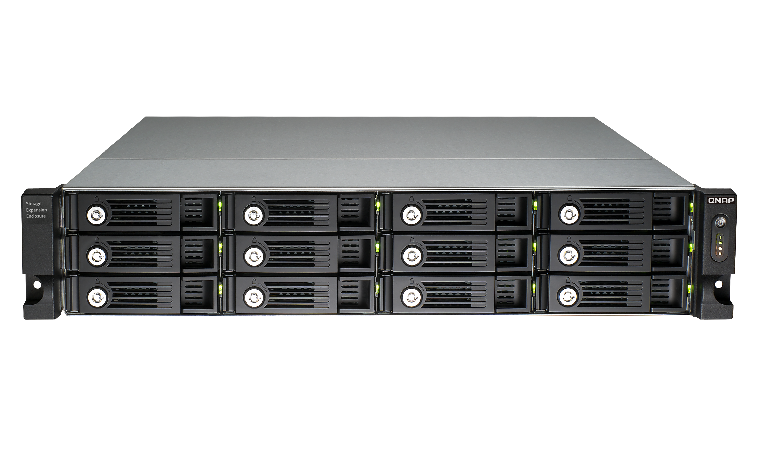 You can easily monitor the health status of the UX-1200U-RP and the disks within it. 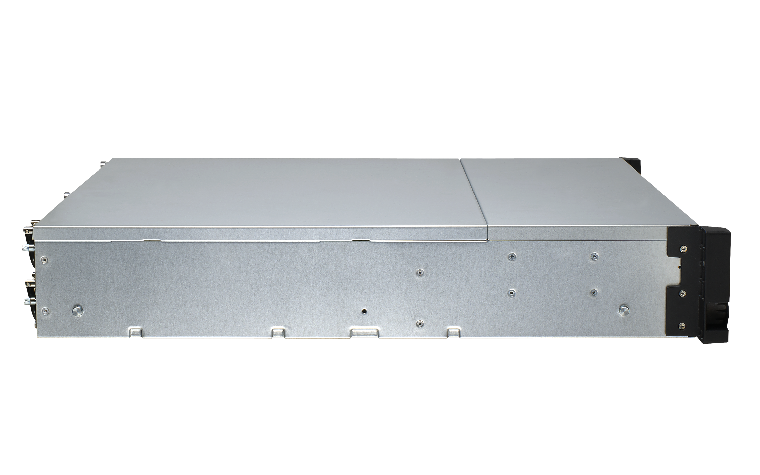 When multiple expansion enclosures are connected, the Locate Disk and Locate Enclosure functions assist you in quickly maintaining the UX-1200U-RP.